Single room with ensuite bathroom located just in front (1 min walk) to Turrella station available to move in 30th April. Room is all furnished with king size bed, built in wardrobe and desk. The building has pool, a nice gym and bbq area. Looking for a place to call home!? Look no further! The apartment is within a resort-like complex featuring: Outdoor swimming pool, gym and BBQ. 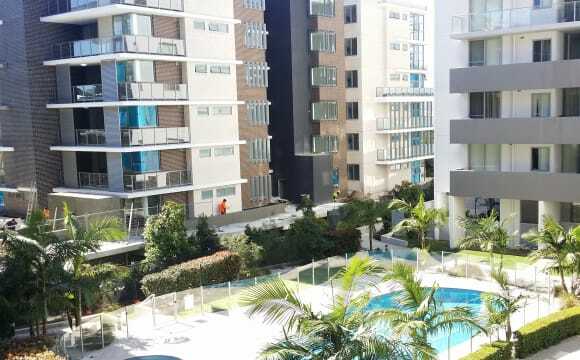 It is a very spacious modern 2 bedroom/2 bathroom apartment that comes with: A small office, kitchen/living room, balcony, laundry, Air-conditioning, a large Tv with Foxtel &amp; Stan. Secure parking available as well as loads of street parking. It is situated right next to Turrella train station (Green line), only 15 minutes on the train to central station and within a few stops away from the Airport. The room: Large master ensuite bedroom - comes with built in sliding door storage and a large private bathroom. It can come partly furnished as it is or unfurnished, it’s up to you. Most of my furniture in common areas are mid-century vintage so I ideally I would like to find someone that appreciate them as much as I do. No pets, couples or party animals, please. Smoking allowed outside only. Rent: $330/w + bills (internet + gas/electricity) split equally between us. Bond 4 weeks rent ($1320). These apartments are nearly brand new with large bedrooms and built ins. Property is very spacious to average 2 bedroom apartment.Apartment has cooling and heating for use in case... Unfortunate my flat ma8 is moving to Sweden for more studies end of April. Room is available by the end of April. Room comes unfurnished so you are welcome to bring any furniture you need or there is Ikea(Tempe) just down the road. Rest of the apartment is furnished so you dont need to bring anything you dont want. You'll be getting master bedroom with private bath In a modern apartment comes with pool and gym. Turrella station is just 1 min walk. One of the reason we dont like to drive a lot anymore. Single person rent-- $320 couple ---$370. Turrella is T8(airport line) frequency of 15 min trains coming back and forth. Train to domestic / international airport.. 5 mins Train to city....12 min Note: Not looking for party animals. this is not a party house. 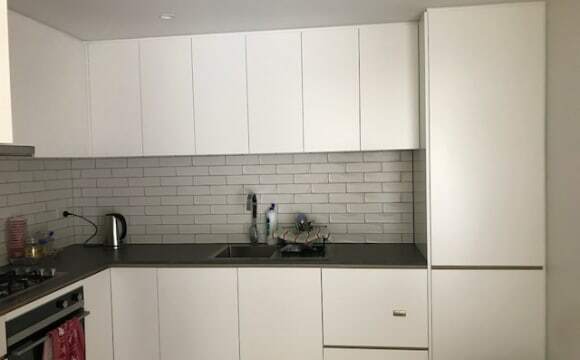 Double room 20 min from central station. (Turrella/Wolli Creek). 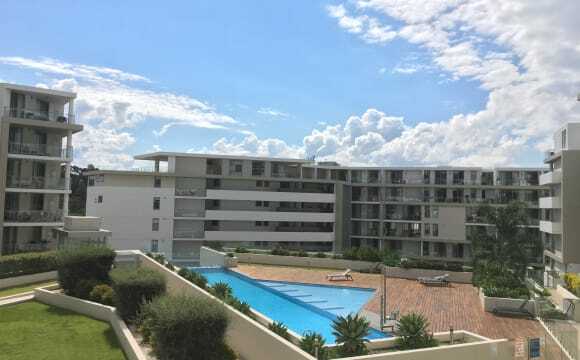 I have 1 bed(single bed - double room) available in a very quiet and clean house in Turella/Woolies Greek. ✔Own wardrobe. ✔2 bathrooms ✔3 minutes walking from the Train station. ✔18 minutes from central station by train. ✔Fully furnished ✔Fully equipped kitchen ✔Washing machine. ✔Unlimited Internet speed wi-fi ✔2 big fridges. ✔Parking in the street. * PRICE $150 per week. All bills included in the rent. *Non party house!!!! The house: - 4 minute walk to train station (2 minutes if your running) - 17 minute train to Central Station - 10 minute train to Domestic + Intl Airports - 2 minute walk to corner store - 2 minute train to Shops @ Wolli Creek --&gt; (Woolworths, Dan Murphys, cafes, barbers, convenience stores) - Large backyard with hills hoist clothesline - Loungeroom, 2 toilets, large kitchen - - Your own cabinet in the kitchen and bathroom for your stuff - Ample parking space + driveway - Creative queer friendly household - WiFi and Cable direct to your room (unlimited internet) - Clothes Washing Machine - TV, DVD with XBox Arcade system setup (600+ games) - Book &amp; DVD Share - Dominos/Deliveroo area - Brand new fridge - Rent due every Sunday for the next week The room: - Sound proof asf - Fits King Bed, Desk and wardrobe - Can come furnished or not, your choice! - Window with an excellent view of a fence! The $$$ $tuff - Bond is $480 - Gas, water, electricity bills are split 7ways. If you budget $15 per week, you will be fine. - Internet is $10 per month. Please do not message me to negotiate the price. The private room is one of the cheapest you will find this close to the CBD. Spacious room with lots of light in quiet street with views of the city. Walking distance to Arncliffe and Turella stations which means quick access to any part of the city or the airport. Room is furnished and kitchen includes cutlery/crockery. If you're looking for a retreat after a long day or a place to study, this is the place for you. 👉🏼Key words: Wolli Creek, Arncliffe, TWIN shared room, Train stations, ALDI, swimming pool, gym. 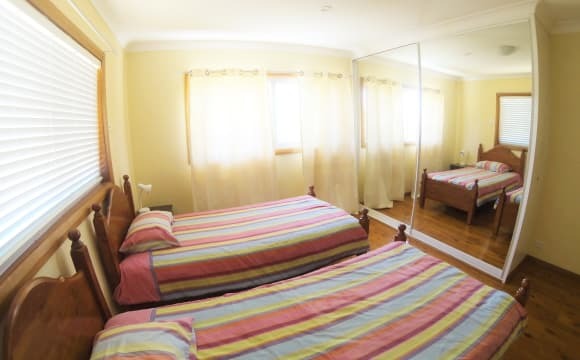 Cozy and tidy twin shared room, swimming pool and gym included. We are currently looking for one person to share the room with one Brazilian. 【Rent】 $190/w (Including all bills, free high speed WIFI) Bond: 2 weeks. 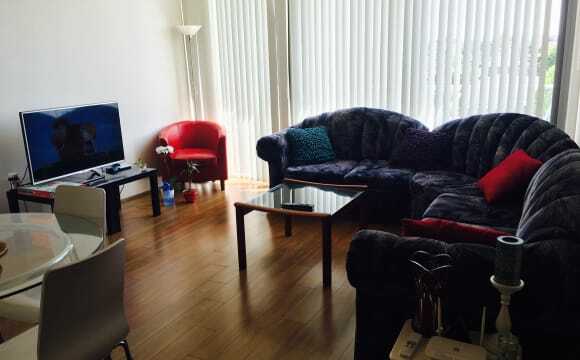 Key deposit: $150/set Min stay: 3 Months 【Location】 1. 5 mins walk to Arncliffe station (Blue line) and shops 2. 7 mins to Turrella station (Green line) 3. 15mins to Central Station by train 4. 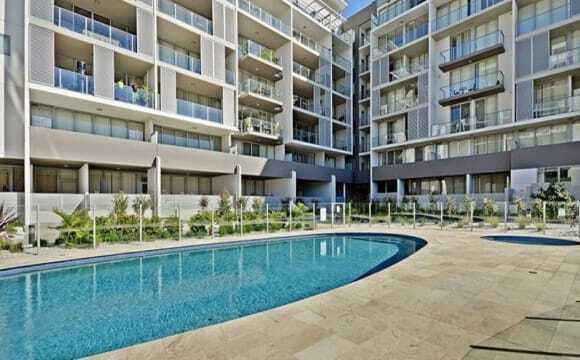 15mins walk to Wolli Creek station 5. 10 mins to International airport 【Facility】 1. Indoor swimming pool, gym, sauna and spa 2. Community garden 3. Community BBQ area 4. Balcony with huge public area! 5. 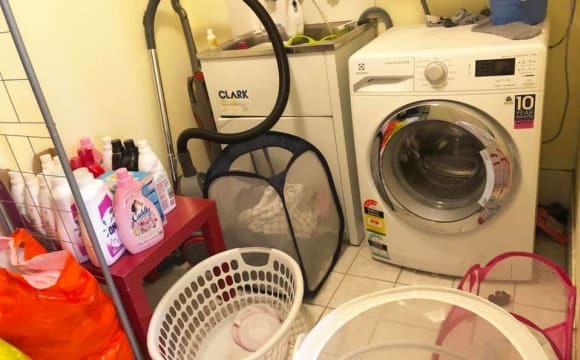 Furnished(sofa, TV, dining table and chairs, fridge, washing machine, dryer machine, plates, mugs, toaster, cutlery, microwave, kettle, coffee machine etc.) 【Room】 1. 2 single beds (Only one available) 2. Study table, chair 3. Built-in wardrobe 4. Floor to ceiling window 5. Air conditioner 【Housemate】 Friendly and clean housemates from Fiji, Taiwan, Brazil, Canada and Germany. We are gay friendly as well! No more than 6 people in this apartment! 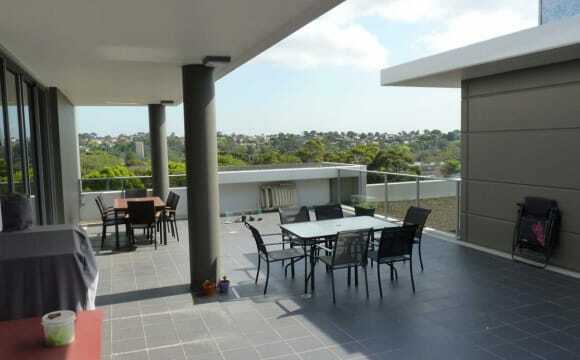 Bright and airy two bedroom unit on the top floor with study, balcony and roof top terrace. Access to building gym, pool, spa and sauna with garden and BBQ facilities. Plenty of untimed street parking and close to three train stations - Arncliffe, Turrella (both 5mins) and Wolli Creek (10mins). Minutes from Airport and only 20mins by train to the city (every few minutes) on two different train lines, yet all from a quiet location. Woolworths and Aldi are located a short stroll away, with restaurants and other food shops found both at Arncliffe and Wolli Creek. Internet is NBN to the basement and unlimited. TV has fetchTV and Chromecast for Netflix/Spotify etc. Living room and bedrooms are all air conditioned. You would have one side of the apartment to yourself, including your room, bathroom and the study. The terrace is a great spot to sunbathe, have a meal or just hang out. Room is unfurnished, however the furniture is available for purchase if needed. Move in dates are negotiable throughout May/beginning of June. The unit is amazing and it’s two levels. Up stairs is our room with toilet next to the room (Smart Tv, Videogame, mini bar fridge) great kitchen, tv on lounge room with dinner room and nice balcony with Bbq and couch. You gonna shane the unit with one very nice couple of Brazilian and Colombian that lives downstairs on their on suite bathroom. They go upstairs at the kitchen just to get something on the fridge or cook something and rarely they stay upstairs. We’re looking for couples but if’s single we can discuss about the rent. Can be pet friendly but we have to talk more about it. The unit is very good! Great space inside and great area outside. There’s a great pool, sauna and gym. It’s very nice area. In the room we’ve got Netflix mini bar fridge and big bed! We live upstairs and that is quite just ours! Smoke out side only please! There’s a ruge balcony. Easy to park on the street. Feel free to ask any question about the unit! Cheers Erika and Gabriel. 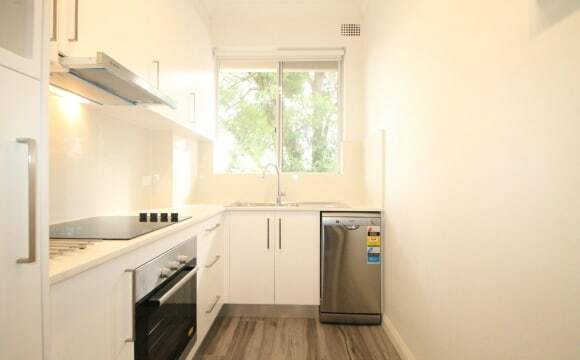 Arncliff single room $135/$175 Couple room mediam room rent, timber floor.unlimited internet, WiFi, need share kitchen, lounge with other room mate, facility include:microwave, fridge,washing machine...350m to Arncliffe station. 13 minutes to city, ,please contact me directly anytime for more detail. Big backyard, good location and quiet area. It's a two levels apartment ,with 3 bedrooms and 3 bathrooms. Modern Kitchen with a big living room.Two big balconies. Bills included in the rent. Swimming pool and gym in the building. Fully Furnished apartment. Netflix. 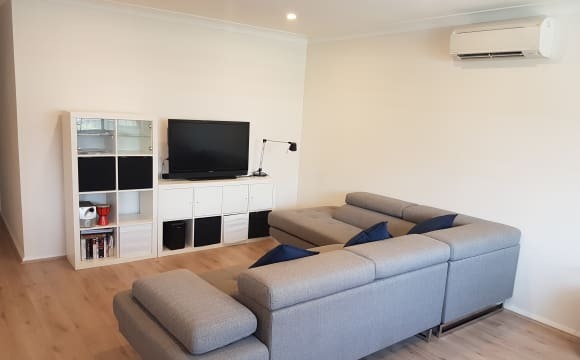 The house is located a short walk to Wolli Creek station and Arncliffe station.You are also located a short stroll to shops where you will find bars, restaurants and supermarkets. (Aldi and Woolworths). PLEASE NOTE: A ONE OFF CLEANING FEE OF $100 APPLIES Arncliffe is 15-20 minutes from Sydney city. 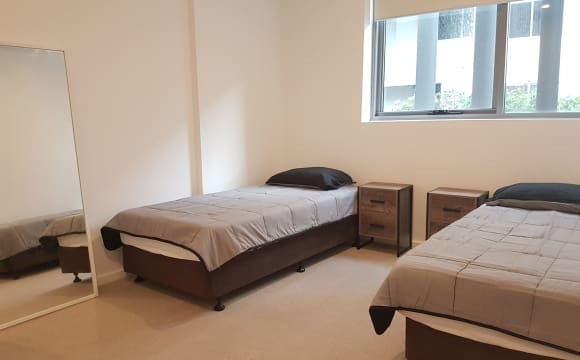 We are 8 mins walk from Arncliffe train station, and 12mins walking distance to Wolli Creek train station which makes it very convenient to get to Sydney Domestic and International Airport. Just a short walk to cafes, restaurants and supermarket. 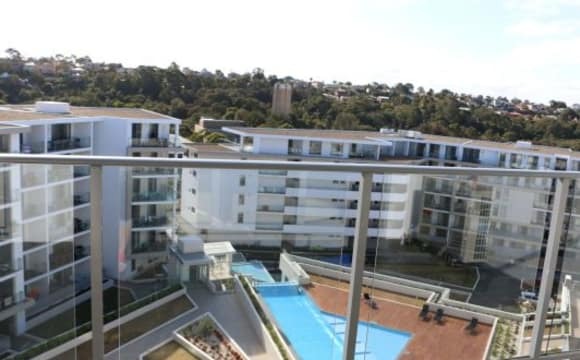 The place is also a close drive to an outstanding array of entertainment and recreational facilities: including: Brighton-Le-Sands beach (5 min drive); Trendy Newtown (5-10 minute drive, some of the best cafes, cinema and restaurants in Sydney); Cahill Park, Kogarah Golf Course, IKEA, Rockdale Shopping Centre, Hurstville Shopping Centre and more. The complex has a gym as well as an outdoor pool and spa. The apartment is split level with 2 bedrooms and 2.5 bathrooms. There is off street parking. The apartment block is in a quiet street and features carpeted floors, separate lounge and dining areas, fully equipped kitchen, 1.5 bathrooms and 2 balconies. Both bedrooms are on the ground floor and away from the studio, kitchen and living/dining area. The studio is located upstairs along with the kitchen and living/dining. This is where I will be residing. For this reason the household would suit those that are comfortable about shared access to kitchen and living area. I will also have use of the guest bathroom upstairs and share the main bathroom (for the shower) downstairs. The bedroom available has enough space for your double or queen bed and other pieces of furniture, such as a bookshelf, TV and small desk. It's away from the living areas and has carpeted floors. Please note that both bedrooms are located downstairs and they share a common wall plus have shared balcony access from each room. THE PHOTOS OF THE BEDROOM ARE AN EXAMPLE ONLY TO SHOW THE SPACE. Looking for mature, financially stable, reliable and honest people to share an easy going and low maintenance split level apartment. Happy with having friends/visitors over within reason. If it is a party house you are looking for then please seek elsewhere. Valid character/work/tenancy references would be ideal. Our household is looking for a new flat mate to sublet until the end of July ...room is light filled with built-ins. 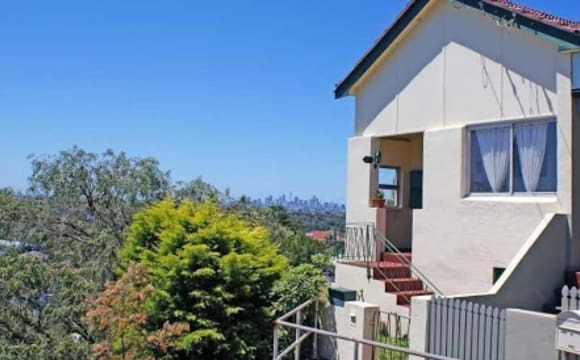 House is big with pool, big bath, view over the city, fireplace, garden, gas cooking, 10 minute walk to arncliffe station......We are looking for a reliable, open minded, easy going style person who is LGBTIQA+ friendly. Its $250 negotiable plus bills and available pretty much asap. Can call/text Claire for further details. Please get in touch and tell us a bit about yourself! Brand new apartment with a security parking, Room includes an ensuite with a bath and shower. 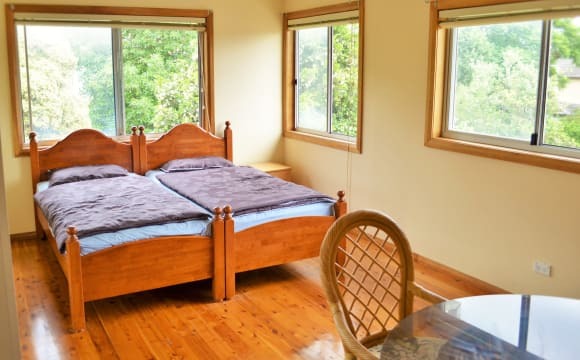 The room is fully furnished with a Queen size bed and a built in wardrobe and ducted air conditioning inside through out the whole apartment. Wifi is available and all bills will be included. Big living area beautifully furnished. 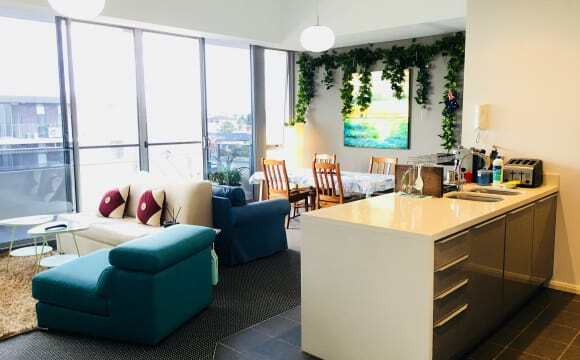 The apartment is based around three train stations, Wolli Creek being a 7minute walk. 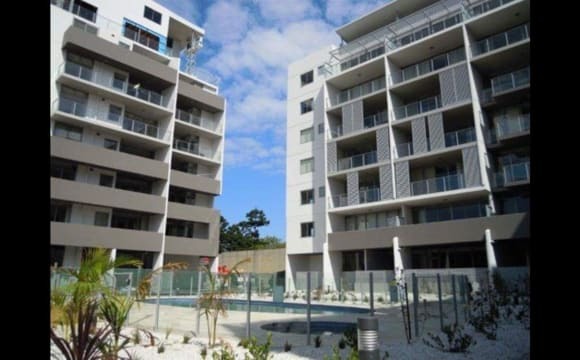 This is a very spacious, modern two level apartment close to Woolies and IGA supermarkets. Double size bed, built in wardrobe and private bathroom. Apartment complex has swimming pool, gym and spa. Convenient location from public transport. Buses and Arncliffe &amp; Wolli Creek train stations within 5-10 minutes walk. Bills included. All bills are included, unlimited internet and fully furnished master bedroom. This is available for a single or couple. It is a very clean and net apartment with pool gym and spa facilities, so it could be very comfortable for you. 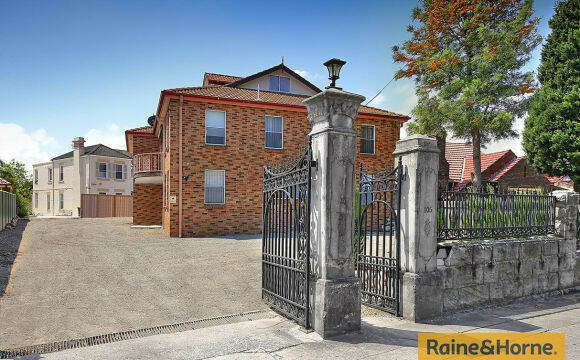 It is very close to the train stations, 5 mins to Arncliffe train station, 10 mins to Wolli creek train station. Also very close to the city around 15 minutes by train. 2 weeks bond and 1 week rent in advance. All bills are included, unlimited internet and fully furnished master bedroom is available for a single or couple. It is a very clean and net room and apartment with pool gym and spa facilities, so it could be very comfortable for you. 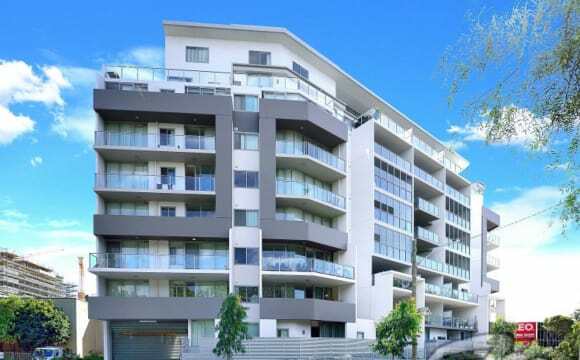 It is very close to the train stations, 5 mins to Arncliffe train station, 10 mins to Wolli creek train station. Also very close to the city 15 mins by trains. 2 weeks bond in advance. private room in apartment in furnished apartment. Close to train station and shops. Clean and quiet. Brand new house! You share the bathroom with another room only. PRICE FOR TWO PERSONS (A COUPLE OR TWO FRIENDS) $370/wk first month $380/wk remaining months - Fully furnished - Electricity Included - Water Included - Gas Included - Internet Included Huge House for those who want space in a comfortable place. - Air conditioning - Big Kitchen with Island - Automatic LED in the bathrooms - Premium Finishing - Open Concept - Design Clean - Intercom with camera We look for someone clean, organised and respectful with the house and the housemates. Everyone here is a hard worker, respectful and extremely clean. Location: Arncliffe 6 min walking to Arncliffe train Station, bus stops, bottle shop, IGA,.... 16 mins to Central by train. 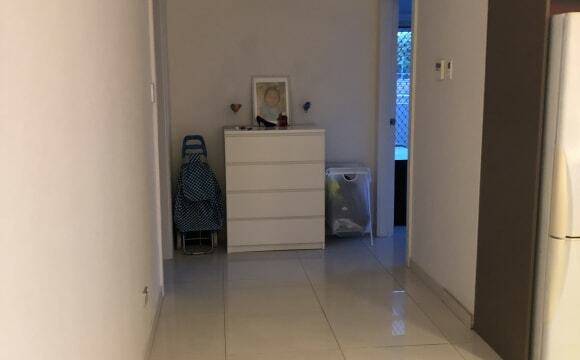 Arncliffe suburb *About the room 1 bed available in a room Rent: $200 including water, gas, electricity and internet bills 2 weeks rent in advance. *Description of apartment 1Private bedroom 4 Shared bathrooms Living room Fully equipped kitchen (shared) Laundry room (shared) 10 minutes walking to train station 5 Minute drive to the Airport 15 separate units in total. 2 private room available on the 17th &amp; 20th of April. Rent includes: -Own keys -Bills (electricity, gas, internet) -Toilet roll -Dishwasher liquids It is a convenient place to live in. 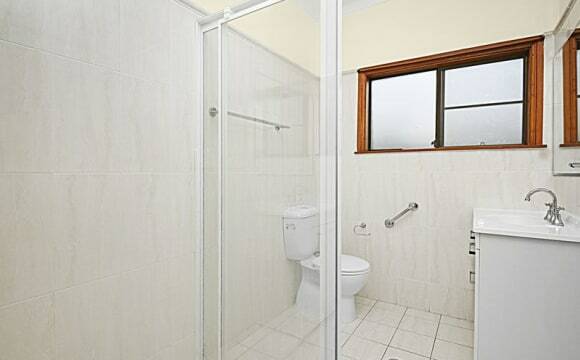 Less than 3 minutes walk to arncliffe station, iga, post office. From arncliffe station,About 15 mins travel to central by train, 1 min travel to wolli creek by train.